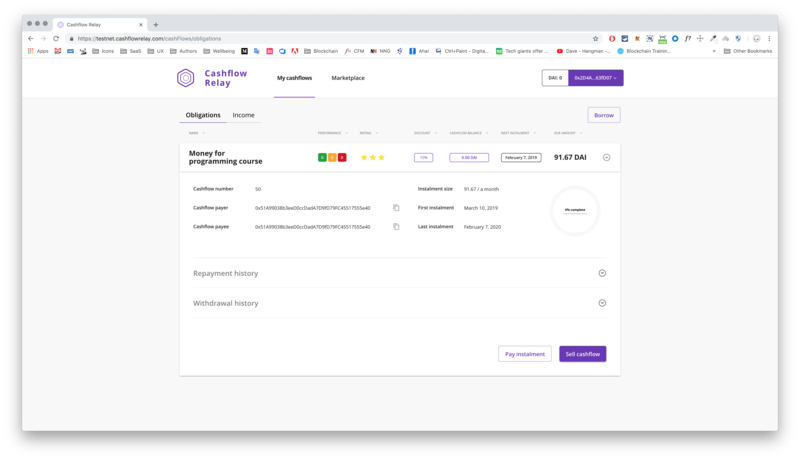 The primary purpose of the CashflowRelay project is to capture the value of future cashflows expected by or due to businesses and individuals in the form of a flexible programmable digital asset natively integrated into the Web3 and DeFi ecosystems. 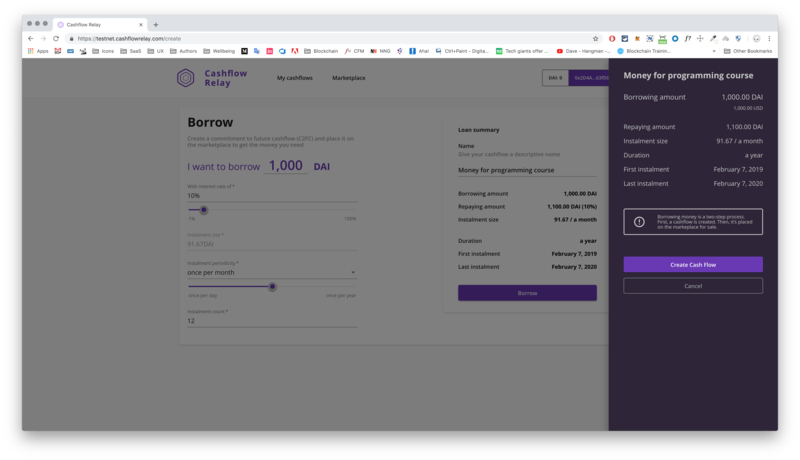 C2FC captures economic value in a novel way by allowing a user to tokenise/digitise, assign, transfer, group/ungroup and, of course, trade future cashflow obligations due at any Ethereum wallet address within a defined timeframe. 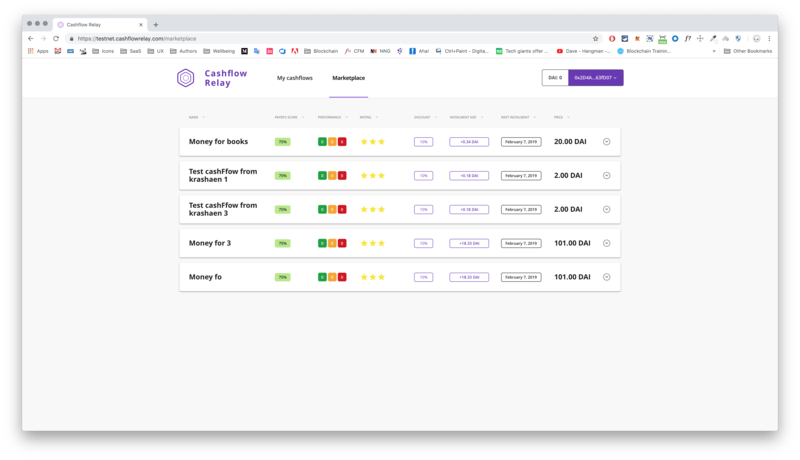 - a liquidity provider returns the capital and receives the profit in case of correct risk assessment from the future cashflows of the company. 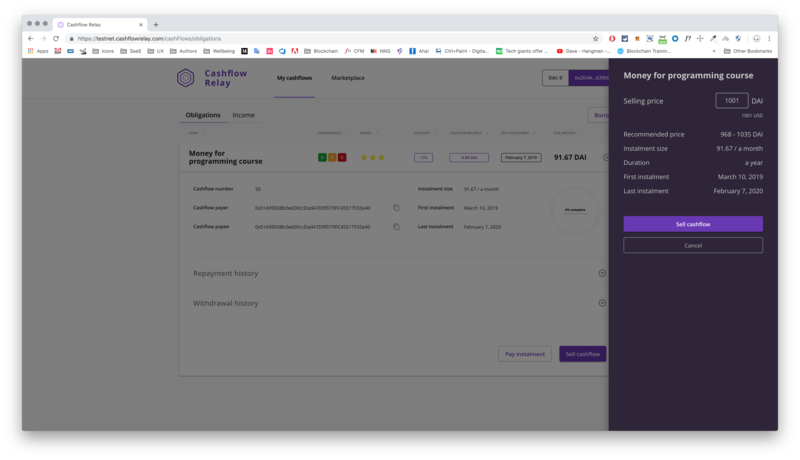 - C2FC token works as digital right, automatically forwarding a specific proportion cashflows to the token holder. C2FC concept sounds really cool, guys! Trusted loans without checks, deposits and other time wasting things. Pavel, if you know what increase in salary education provides, you can issue C2FC for the amount of this increase and get a student loan. I think it's interesting concept with working implementation in main-net. 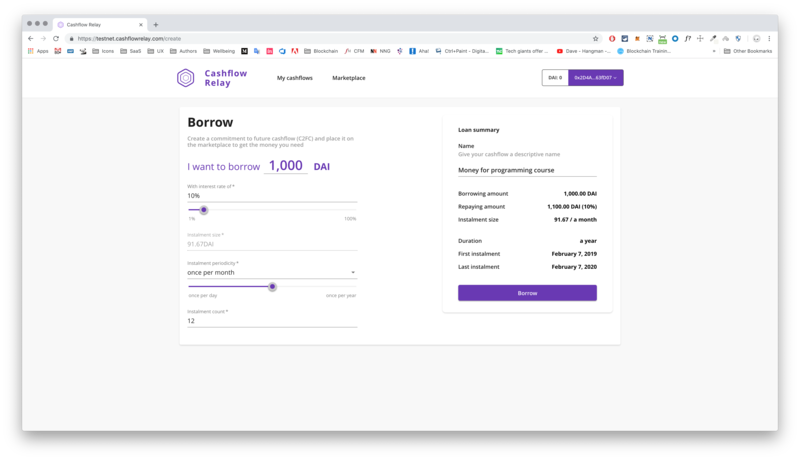 My question is what use-cases for managing education-savings (for example) generally in problematic broken economics (third world & faild-state economies)?